Buying a new house presents the future home owners with many potential pitfalls: from leaky faucets to vermin infestations. But what if the house comes equipped with its very own ghost? As reality shows like Ghost Hunters proved, haunted houses are no laughing matter - at least if you're stuck in one and can't call the Ghostbusters to help you. Over the decades, horror movies explored all kinds of haunted houses - from crumbling Gothic manors to bland suburban homes. With the release of James Wan's Conjuring 2 - a horror following the paranormal adventures of Ed and Lorraine Warren (played by Patrick Wilson and Vera Farmiga), it's just the right time for Screen Rant's list of 15 Best Haunted House Horrors. George and Kathy Lutz (James Brolin and Margot Kidder) bought their dream house in upstate New York only to find themselves beset by strange phenomena. Misfortune seems to plague the family as well as the Catholic priest (played by Rod Steiger) who tries and fails to bless their home. As strange substances ooze from the walls of this seemingly normal house, George begins to grow sullen and develops a meaningful relationship with his axe. In 1975, the Lutz family allegedly experienced a series of increasingly alarming supernatural phenomena in their newly bought New England house where, years ago, a mass murder took place. 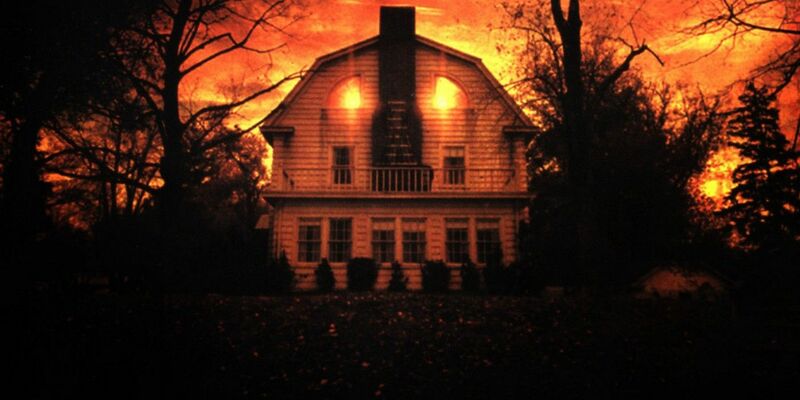 In 1977, author Jay Anson wrote down their supposedly true story that became a bestseller and a basis for the 1979 horror movie The Amityville Horror. True or not, the Lutz family story has since then gained a ghastly unlife of its own, resulting in a dozen sequels over the last four decades. Eccentric millionaire Frederick Loren (Vincent Price) cordially invites you to spend a night in his ghost-haunted mansion. During your stay, you'll receive a .45 automatic for your personal protection. If you manage to survive the night unharmed in this accursed house, you'll be richly awarded. However, ghosts may prove to be the least of your troubles during your stay in the House on Haunted Hill. American film maker William Castle became known for the gimmicks he used to promote his movies. In 1958, Castle promoted his thriller Macabre by offering his customers a free certificate for a $1000 life insurance policy in the case they die of fright while watching his movie. 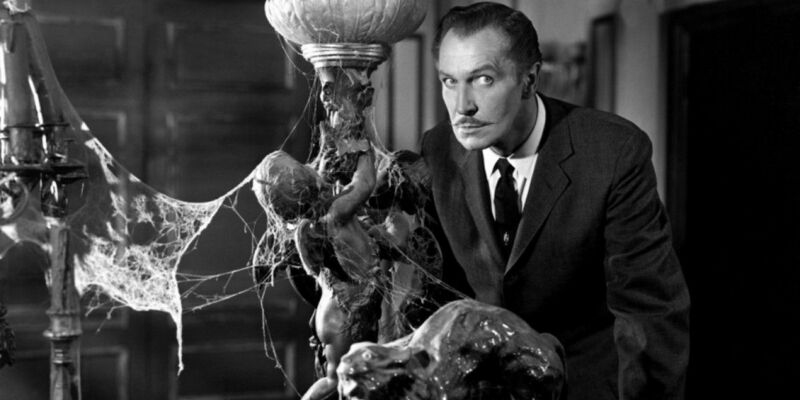 For his 1959 horror flick House on Haunted Hill, Castle developed a gimmick called "Emergo." In certain movie theaters, he installed an elaborate pulley system that would allow a plastic skeleton to fly right over the movie's audience during the crucial scenes in the movie. Academy Award-winning actor George C. Scott stars in this Canadian horror film as John Russell, a composer who moves to Seattle after his wife and daughter die in a tragic car accident. He rents a large Victorian manor only to learn that it is possessed by a ghost of a boy murdered here decades ago. As Russell begins to unveil the mystery behind the boy's murder, he learns about its connection to the career of a powerful US Senator Joseph Carmichael (Melvyn Douglas). 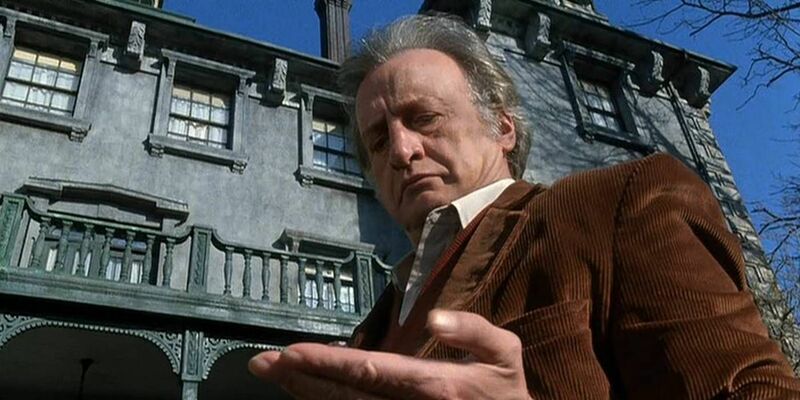 Inspired by the supposedly real experiences of the film's screenwriter Russell Hunter, The Changeling is a stylish, albeit dull horror movie about a protagonist confronting his personal tragedy while investigating a supernatural mystery connected to a political scandal. The Changeling is widely considered to be one of the inspirations behind the 1998 Japanese horror movie Ringu that similarly uses the idea of a child's body hidden in an old well. Edith Cushing (Mia Wasikowska) is a daughter of a rich businessman Carter Cushing (Jim Beaver). She falls in love with Sir Thomas Sharpe (Tom Hiddleston), an English nobleman who travelled to the United States with his sister Lucille (Jessica Chastain) in search of investors for his family's red clay mine. Edith eventually marries Sir Thomas and moves to Britain. However, a sinister agenda is afoot and Edith is aware of it only because of her ability to see ghosts. Guillermo del Toro's gothic horror movie Crimson Peak may not be the most original movie out there, but it sure looks amazing. 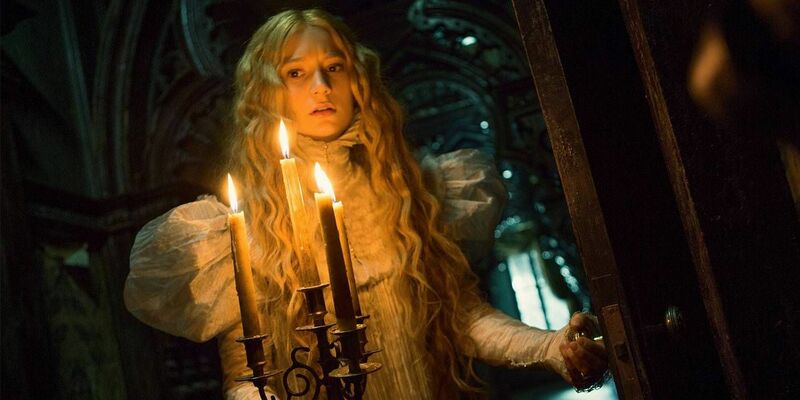 Heavily indebted to lavish Hammer horror movie productions from the 1960s, Crimson Peak mostly takes place in a crumbling, yet opulent gothic manor. With its echoing hallways and crumbling walls oozing blood-red clay, Allerdale Hall is the true star of this film. The Conjuring is loosely inspired on the real-life paranormal investigations conducted by Ed and Lorraine Warren (Patrick Wilson and Vera Farmiga), whose reports inspired the book (and later the movie) The Amityville Horror. In The Conjuring, they help Roger and Carolyn Perron (Ron Livingston and Lili Taylor), who moved in an old Rhode Island farm house with their daughters only to find themselves endangered by a spirit of a long-dead witch. For 14 years, producer Tony DeRosa-Grund tried to film a movie inspired by the original taped interview between Lorraine Warren and Carolyn Perrin. Writers Chad and Carey Hayes developed the original script around 2008. The Conjuring was directed by the Malaysian-born Australian film maker James Wan, who already proved himself in the genre by creating the Saw franchise with Leigh Whannell. The Conjuring became a huge box office success, leading to a sequel, The Conjuring 2, released in June of 2016. Japanese horror movie House may not be the scariest one on this list, but it is by far the craziest. It follows a group of Japanese school girls led by Gorgeous (Kimiko Ikegami) as they visit her Auntie (Yōko Minamida). After Auntie disappears inside of a refrigerator and a flying head attacks one of the school girls, the house itself starts to devour the school girls one by one using items like pianos and grandfather clocks. House lies somewhere between a straightforward horror film and a psychedelic Looney Tunes cartoon. 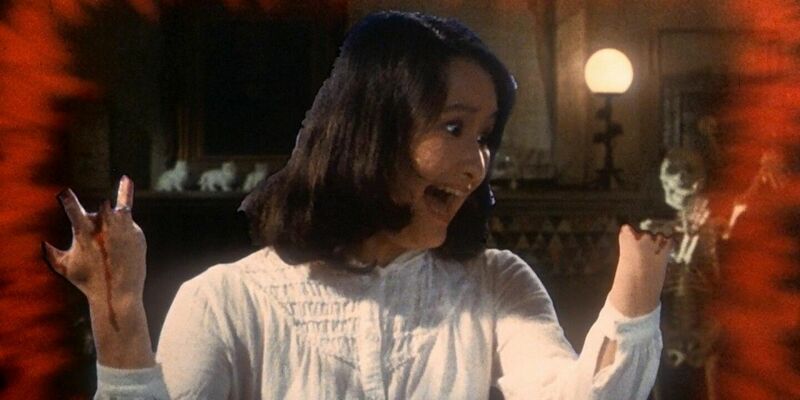 Japanese film maker Nobuhiko Obayashi was inspired by the fears of his pre-teen daughter Chigumi, which were developed into a screenplay by Chiho Katsura. More of a surreal experience than a horror movie, House was quite popular with the audience at the time of its release but received mixed reviews from the critics. Steven and Diane Freeling (Craig T. Nelson and JoBeth Williams) live a quiet domestic life in Californian suburb. That life falls apart when their daughter Carol Anne (Heather O'Rourke) begins to communicate with entities hiding inside the TV static. As the Freeling household gets increasingly endangered by the supernatural, Steven desperately contacts a group of parapsychologists who begin the investigate the phenomenon led by the medium Tangina Barrons (Zelda Rubinstein). Poltergeist was ostensibly directed by the Texas Chain Saw Massacre director Tobe Hopper. However, it was Stephen Spielberg who wrote, produced and directed most of the movie. Hopper was hired because Spielberg was contractually prohibited to direct any other films while working on E.T. the Extra-Terrestrial. 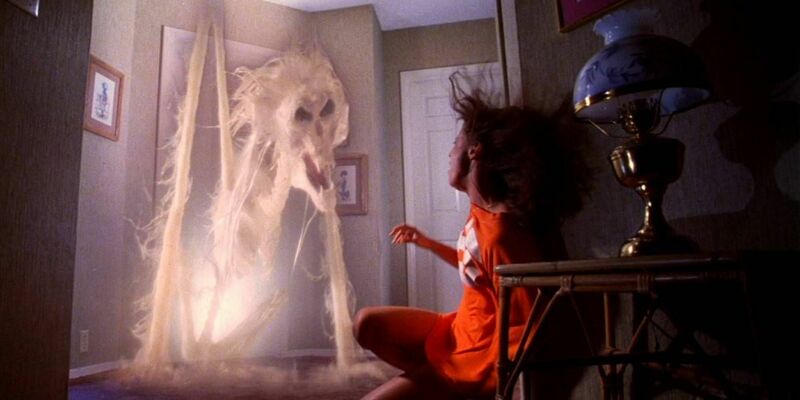 Not especially scary even by the 1980s standards, Poltergeist nevertheless quickly became one of the highest-grossing movies of 1982, leading to two sequels and a 2015 remake. Physicist Lionel Barrett (Clive Revill) is hired to investigate the Belasco House, the "Mount Everest of haunted houses" whose first owner, perverted millionaire Emeric Belasco, disappeared without a trace. Barrett is joined by his wife Anne (Gayle Hunnicutt), a mental medium Florence (Pamela Franklin) and a physical medium Ben Fischer (Roddy McDowall), the lone survivor of the previous investigation. As this team of paranormal researchers explores the Belasco House, it seems as if the building itself is trying to kill them. British horror film The Legend Of Hell House was based on a bestselling horror novel Hell House by the American sci-fi and horror writer Richard Matheson, most well-known for his 1954 sci-fi horror novel I Am Legend. Matheson previously wrote screenplays for Rod Serling's original version of The Twilight Zone and adapted his own novel into a tense and taut horror thriller that's still being widely imitated. Josh Lambert (Patrick Wilson) and his wife Renai (Rose Byrne) have recently moved into a new house. However, their son Dalton (Ty Simpkins) falls into a coma after witnessing a mysterious figure in their attic. Soon, supernatural events begin to plague the Lambert household. It is only after they contact a team of paranormal investigators led by Elise Reiner (Lin Shaye) that the Lamberts learn that their son has been hijacked by the evil ghosts from the astral dimension looking for a way to return back to life. Director, writer and producer James Wan first made a name for himself by directing Saw in 2004. Although Saw quickly became a lucrative franchise, Wan wasn't satisfied by directing violent and gore-filled movies and moved on to more subtle horror movies dealing with supernatural possession. Insidious came out in 2011. Filmed for mere $1.5 million, it earned almost a $100 million at the box office. Since then, there have been two other movies in the series: Insidious: Chapter 2 (2013) and Insidious: Chapter 3 (2015). The only thing worse than a haunted house is a house whose haunting is contagious. In Ju-On: The Grudge, we are presented with a family home in Nerima, Tokyo where decades ago a monstrous crime took place. In a fit of jealousy, Takeo (Takashi Matsuyama) murdered his wife (Takako Fuji) and their son (Yuya Ozeki), turning them all into vengeful spirits. Ever since then, they unrelentingly haunt and murder anyone who enters their home, even if they leave it right away. The best thing about a brief trend of Hollywood remaking J-horrors was that it introduced the wider audience to the disturbing world of Japanese horror movies. The Ju-On franchise originated in the late 1990s with two straight-to-video movies written and directed by the Japanese film maker Takashi Shimizu. After their success, Shimizu went on to direct a big-screen adaptation Ju-On: The Grudge in 2002 and the American remake in 2004. So far, Ju-On franchise includes 11 movies, a series of novels and comic books as well as a computer game. Laura (Belén Rueda) grew up an orphan. As an adult, she returns to her old orphanage with her husband Carlos (Fernando Cayo) and their adopted son Simón (Roger Príncep) with plans to start a home for disabled children. As Laura finds herself dealing with the unpleasant social worker Benigna (Montserrat Carulla) as well as the ghostly apparition of a long-dead boy named Tomas (Óscar Casas), tragedy begins to unfold. Sergio G. Sánchez wrote his screenplay for The Orphanage way back in 1996. It took him almost a decade to find a director willing to film it - Juan Antonio Bayona. Bayona then convinced Mexican film maker Guillermo del Toro to help them produce the movie. 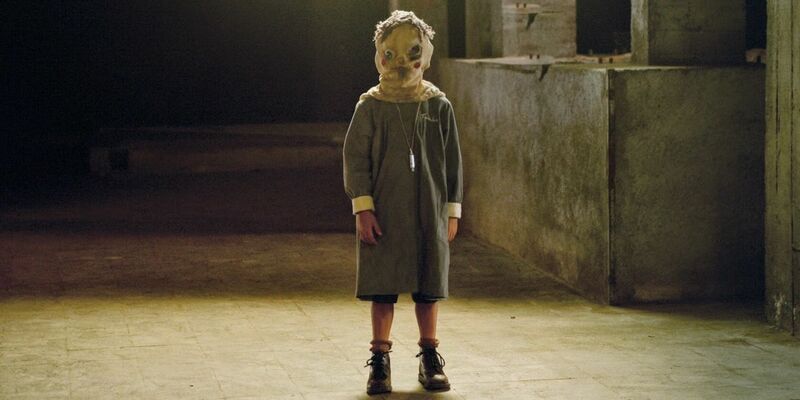 When it finally premiered at Cannes Film Festival, The Orphanage was widely praised by the critics. The movie became an international hit, earning almost $80 million on its $4 million budget. 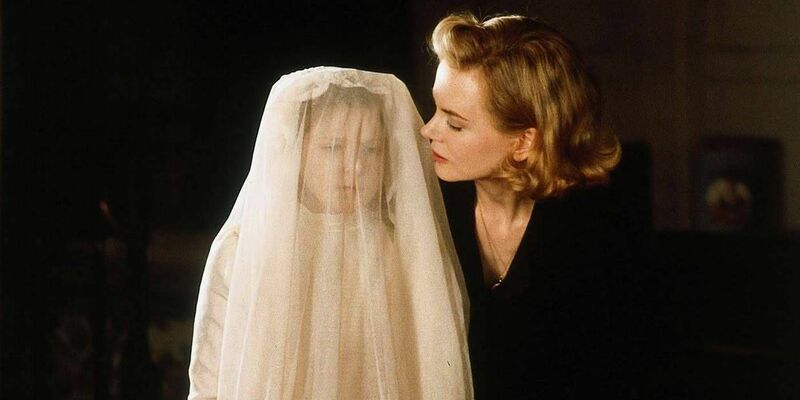 Sometime after the end of the World War II, Grace Stewart (Nicole Kidman) lives in an old, derelict manor with her children Anne (Alakina Mann) and Nicholas (James Bentley) who suffer from a rare disease that makes them highly sensitive to sunlight. As Grace waits for her husband Charles (Christopher Eccleston) to return from the war, she's instead visited by the elderly servants Bertha (Fionnula Flanagan), Edmund (Eric Sykes) and Lydia (Elaine Cassidy). Strange events begin to happen and their explanation is even stranger than the usual haunted house curses. Spanish director and producer Alejandro Amenábar made a name for himself abroad with his 1997 movie Open Your Eyes, remade by Cameron Crowe as Vanilla Sky in 2001. Similar to that movie, The Others goes beyond the mere surface of its story and explores a hidden reality underneath. Wonderfully creepy in tone, Amenábar's movie offers one of the better - and more emotionally satisfying - twist endings in recent memory. Miss Giddens (Deborah Kerr) is a young governess hired by the rich bachelor (Michael Redgrave) to take care of his nephew Miles (Martin Stephens) and niece Flora (Pamela Franklin) at his country manor while he's away on a trip. The children are seemingly polite but their behavior soon takes a turn towards sinister. Are their pranks and manipulations merely a figment of Miss Giddens' paranoid imagination or are the children possessed by supernatural evil? Novella The Turn of the Screw was a sole venture into horror by the classic 19th century American writer Henry James. Novella was adapted for the stage by William Archibald under the title The Innocents. A play was then used by the British director Jack Clayton as a basis for this psychological thriller/supernatural horror. 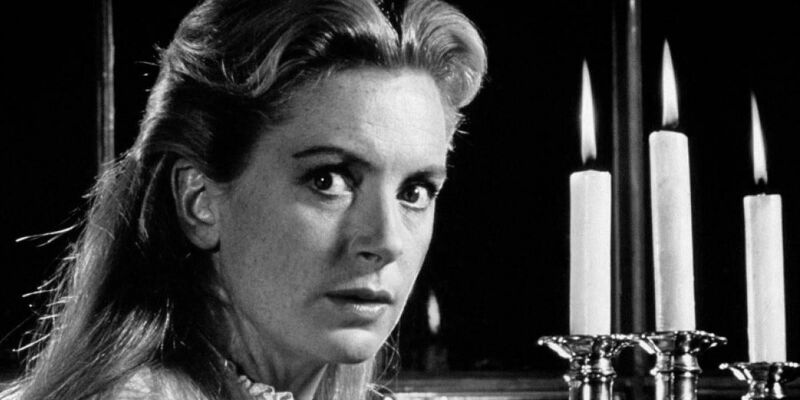 Ignored by the audience at the time of its release, over the years The Innocents has become a classic. Director Martin Scorsese considers this movie to be one of the best horror films ever made. The Haunting is a chilling, claustrophobic adaptation of the classic 1959 horror novel The Haunting of Hill House by the American writer Shirley Jackson. The story follows Eleanor (Julie Harris), a long-suffering woman who was a victim of a poltergeist activity in her childhood. 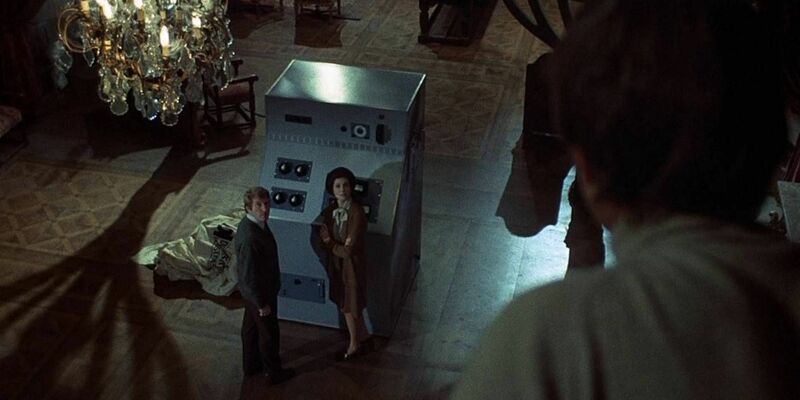 She joins level-headed Dr. John Markway (Richard Johnson) and the medium Theo (Claire Bloom) in the paranormal investigation of the supposedly cursed Hill House. During their night in the otherwise deserted manor, Eleanor begins to suffer from what might be attacks by the supernatural entities or - equally distressing for her - a severe mental breakdown. 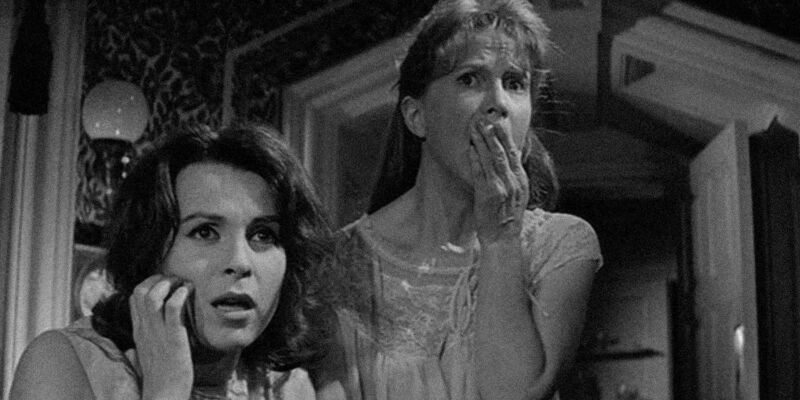 Widely considered to be one of the best horror movies ever made, The Haunting was directed by Robert Wise. His career boasts many titles now widely considered to be classics of their respective genres: sci-fi movies such as The Day the Earth Stood Still (1951), The Andromeda Strain (1971), and Star Trek: The Motion Picture (1979); horror movie The Body Snatcher (1945); and the classic musical The Sound of Music (1965). Jack Torrance (memorably performed by Jack Nicholson) is a recovering alcoholic novelist who accepts a job as an off-season caretaker at the Overlook Hotel. His son Danny (Danny Lloyd) can sense a supernatural evil lurking inside the hotel but most of the adults pay him no heed. As the bitter Colorado winter sets in, the Torrance family is isolated from the world. Possibly due to the influence of the hotel, Jack becomes more and more unhinged, and Danny and Jack's wife Wendy (Shelley Duvall) begin to fear for their lives. What is there left to write about The Shining that hasn't already been said over the last four decades? Written, directed and produced by the great Stanley Kubrick, The Shining is an adaptation of a best-selling horror novel by Stephen King (who, famously, was unsatisfied by this adaptation). The movie received mixed reviews at the time of its opening, but was fairly well-received by the audience. 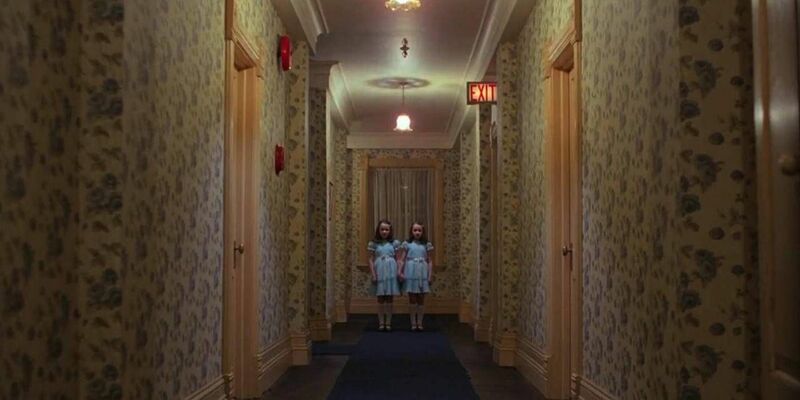 As with many other Kubrick's films, The Shining was re-evaluated years after its release and is widely considered today to be one of the best haunted house horror films ever made. What are your favorite haunted house horrors? Share them with the others in the comments below!